The happy Forest animals love spending their days relaxing in their beautiful grove. Tall trees shelter their nests and keep the air fresh and clean. But the Evil Beavers have other plans for the Forest. Lumber is very profitable and the Beavers have plans to clear cut the Happy Forest and turn it into cash. The animals will not stand for this. Join them in the fight to take down the Boss Beaver and his minions. The forest animals will be there to help you at every turn, helping you blast your way through the obstacles the Beavers have created for you. Go head to head with the Boss beaver and send him running. The Beavers think the forest is easy money. 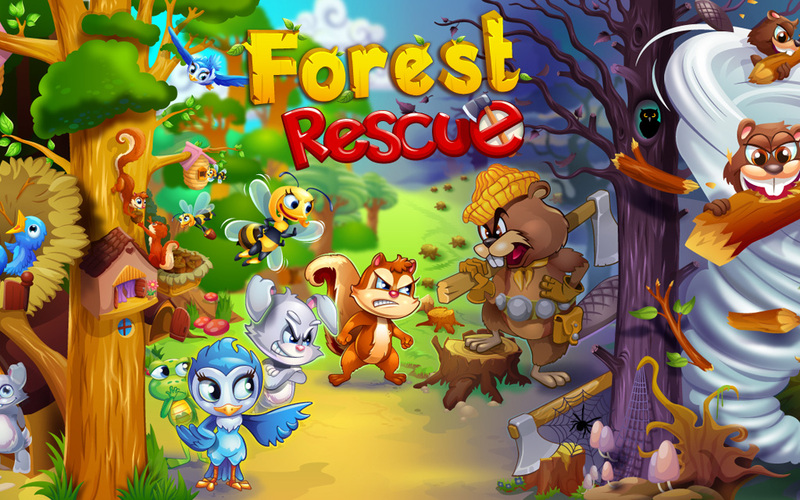 Play Forest Rescue today and make the Beavers pay!